U.S. Divers's Standard Adult Snorkel makes snorkelling a breeze with easy purging, and ergonomic fit and Hydro-adhesion technology. U.S. Divers &apos;s Standard Adult Snorkel makes snorkelling a breeze with easy purging, and ergonomic fit and Hydro-adhesion technology. 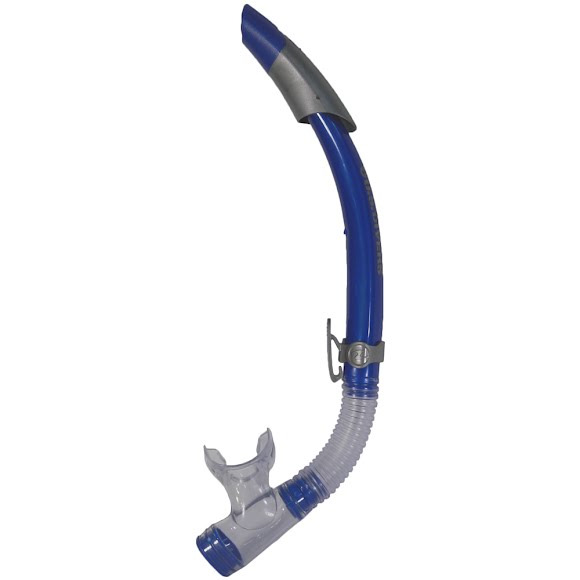 This advanced tube within a tube snorkel top design keeps splashed surface water out because the water &apos;adheres&apos; to the inner surface fo the snorkel top, routing it safely out and away from the breathing tube. It also provieeds excellent, unobstructed airflow, and easy purge capabilities.